A total of 40 companies representing Bahrain's IT and telecommunications sector, 20 start-ups and three government agencies are part of the Bahraini National Pavilion at the Gitex Technology Week, being held in Dubai, UAE. Bahrain's labour fund Tamkeen's chief executive Dr Ebrahim Mohammed Janahi inaugurated the pavilion today (October 14). The event, a major information and communications technology (ICT) trade fair, will run until October 18, at the Dubai World Trade Centre. The participating Bahrain government bodies include the Ministry of Transportation and Telecommunications, the E-Government Authority and Tamkeen, a statement said. This year marks the largest increase in participation since the launch of the national pavilion at Gitex, with 20 startups participating for the first time in the national pavilion, it added. Dr Janahi toured the participating exhibitors at the BNP and was introduced to products and services offered by them including cloud computing, blockchain, as well as exhibitor’s unveiling their innovative IT services at the event. During the tour, the participating enterprises highlighted the opportunities and challenges facing the sector and stressed Tamkeen's role in supporting the ICT sector and enhancing its competitiveness at the regional and international levels. “We are eager to back the ICT sector through providing them with full support to participate in the largest technology event in the Middle East, Africa and South Asia, enabling them to showcase their products and services and further expand their businesses, as well as enhance their competitiveness,” he said. He added that Tamkeen's role is primarily to infuse support for the private sector’s enterprises to meet the needs of the current and emerging market and to work in the context of national efforts to build a culture of innovation and productivity through the various support programmes Tamkeen provides, exposing enterprises and individuals to the potential of new economies and job opportunities. 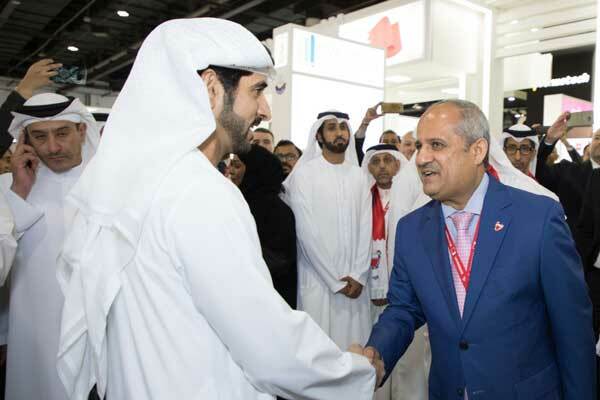 Ubaydli Ubaydli, chairman of Bahrain Technology Companies Society (BTECH), affirmed that the organisation is eager to develop a rich programme of events within the pavilion, visit other national pavilions, and provide a favourable platform for participants to enter into fruitful deals. “This strong Bahraini presence at Gitex will also provide an unprecedented opportunity to assess the current status of the Bahraini technology sector in comparison with other national pavilions at the event, to identify the challenges and opportunities, and to complete the national map for the advancement of the ICT sector in Bahrain, enhancing its competitiveness and increasing its ability to build and export companies,” he said.